Anecdotal evidence suggests that entrepreneurs report fewer hours of sleep. However, in samples of 12,086 individuals in the 2012 and 2014 cross-sections of The Behavioral Risk Factor Surveillance System (BRFSS), and 47,851 individuals in the 2013–2016 National Health Interview Sample cross-sections, our results indicate that self-employed individuals report more sleep. The results in these two samples further show that psychological distress mediates the relationship between self-employment and lower self-reported sleep time and poorer sleep quality. In the third sample of 7714 individuals in waves 1 and 4 of the UK Household Longitudinal Survey, self-employed individuals reporting increase in sleep from wave 1 to wave 4 also reported a very small increase in monthly gross income, indicating limited, if any, gains to income from increasing sleep hours. Marcus T. Wolfe and Pankaj C. Patel contributed equally to this work. The online version of this article ( https://doi.org/10.1007/s11187-019-00166-5) contains supplementary material, which is available to authorized users. Williamson, A. J., Battisti, M., Leatherbee, M., Gish, J. J. (2018). Rest, zest, and my innovative best: sleep and mood as drivers of entrepreneurs’ innovative behavior. 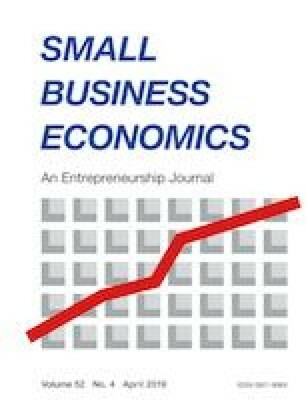 Entrepreneurship Theory and Practice.. https://doi.org/10.1177/1042258718798630.